Security is at the heart of what virtual private networks (VPNs) do. The good ones practically bristle full of defensive teeth to keep unwanted individuals, government organizations, and malware. Anonymity is right there too. Everyone has their reasons to not want what they’re doing online to be shared with people they know, their jobs, even their government depending on where in the world they live. The best VPNs always come up aces when you talk about security and anonymity, but it’s not always easy to see that. Plenty of VPNs out there claim to have the fastest speeds, the best encryption, and the most hack-free security in place. Some are telling the truth, but plenty are not, and it’s up to you, the consumer to accurately do your research and find the VPN best for you and your purposes. This article will help you make the right call on which VPNs to trust when you’re attempting to access Grindr from the United Arab Emirates (UAE), a country that not only forbids access to websites of that nature, but also declares homosexuality not only illegal, but also a capital offense. The natural assertion might be to simply pick the VPN with the best price tag, but that’s not always the case. Lots of VPNs look to make as much money as possible through claims that are not 100% accurate tied to a high price tag. On the flip side, there are very good VPNs that charge a much lower price and offer great services to entice customers who want great service at a great price. That’s why it’s essential to do lots of research and make a list of possible candidates for your VPN services when you decide to employ one. For the purpose of using Grindr in the UAE, the most important characteristics to search for are great security and great customer service. 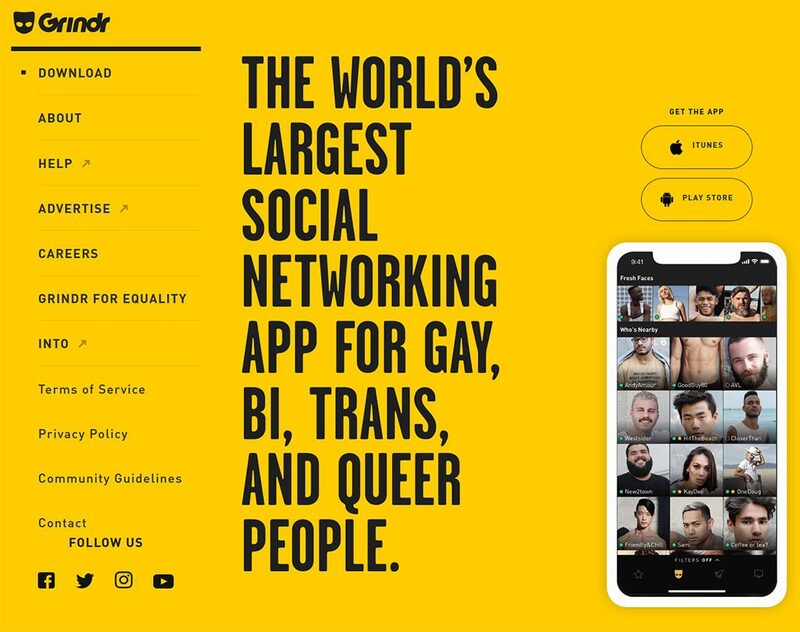 For the uninformed, Grindr is a social app for gay, lesbian, transgender, and queer people. It lets people connect based on their location and recently celebrated its 10th birthday as the world’s first gay geosocial app. It has close to 30 million members as of 2019, but that popularity also comes with a price. It is completely blocked in Turkey, Saudi Arabia, Iran, Indonesia, UAE, Ukraine, and Russia. There are also reports that police in Egypt have used it to hunt and arrest gay men, as public acts of homosexuality are illegal there. Thus, using a VPN to access Grindr in a country like UAE means taking the risk of legal action against you if you are caught. In this case, one of the most expensive VPNs actually is one of the best for the job. ExpressVPN is mostly known for being the fastest VPN on the market and one of the most expensive as well, but its security is almost criminally underrated. Located in the British Virgin Islands makes for a great start to a secure network for ExpressVPN, and it boasts of best in-class security and encryption thanks to AES-256 encryption, a kill switch, and zero-knowledge DNS which means it does not keep any logs of what you’re doing online. It has 24/7 customer service available and a 30-day, money-back guarantee. NordVPN isn’t as fast as ExpressVPN, but it’s also not as pricey. Its security is top-drawer thanks in large part to an automatic kill switch which will automatically block your Internet connection should the VPN disconnect for some reason. Considering UAE’s stance on Grindr and homosexuality, this is a huge security blanket for customers seeking to use the app there. NordVPN has the same AES 256-bit encryption and a no-logs policy, which means at no time will NordVPN track your movements online. That means even if the UAE government suspected you of something, it would not be able to obtain any records from NordVPN of your association with the VPN service. PrivateVPN is another security stalwart that is well-prepared to keep you anonymous when using Grindr from inside UAE. It has 2048-bit encryption, one of the most impressive figures in the industry, as well as a no-logs policy, It also has an automatic kill switch and built-in leak protection to give you a wide spectrum of security options.